Fuel up. Don’t head out on a long trip without a full tank of gas. 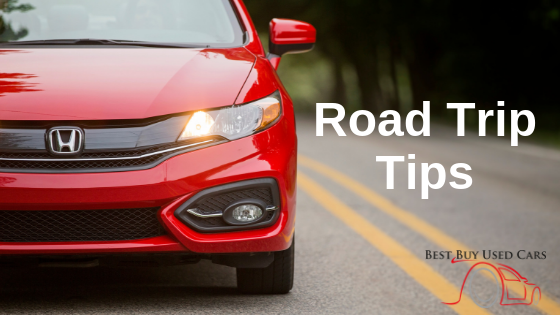 In addition to topping off the tank, also perform a quick check of the following to address any safety issues before you hit the road: tire pressure and tread depth, check and replace wiper blades, if necessary, fill the windshield washer fluid reservoir, and make certain all exterior lights are working properly. Bring supplies in the event of an incident or should you encounter heavy snows. Stock your car with an emergency kit, especially a flashlight, blanket, first-aid kit, water, and extra snacks, just in case. According to Google Travel, the Wednesday before Thanksgiving and the Sunday after Thanksgiving are the busiest days of the season to travel. It’s not too late to rearrange your travel plans to take advantage of off-peak times, like driving home on Saturday or Monday, or drive late at night or early in the morning to avoid the rush and ensure you get to your destination on time and with minimal stress. Get plenty of rest before you set off so you can remain alert, especially if you have a long drive. The National Sleep Foundation research tells us that 60% of Americans have driven while feeling sleepy in the past year. Yet driving while tired affects driving ability in the same way as drinking alcohol - it reduces reaction times and affects concentration and co-ordination. Allow plenty of time for a good night’s sleep before you set off. When you’re on the road, focus on the road. Plan ahead so that backseat passengers are occupied and less likely to cause a distraction. Put your phone out of sight or designate a family member to answer your calls and texts during the journey. Program your in-vehicle navigation system or smartphone mapping app before you set off. Eating and drinking while driving are a major distraction so save the driver refueling for the pit stops. Drivers of larger vehicles are often the victims of other drivers’ anger and frustration. Their size might make them look invincible to other vehicles, but that size can actually be a stressful detriment to a trucker’s driving experience. Take extra steps to let the trucker know you’re passing them – this includes keeping your turn signal on longer than normal and making 100% sure the truck is clear of your vehicle before changing lanes. Make sure the driver of your trip takes a break from behind the wheel every two hours or 100 miles. This will keep the driver alert, aware, and ready to handle any situation holiday driving may bring. Be sure to secure your pets, either with harnesses and seat belts or by placing them inside a crate. Animals can be a dangerous distraction when driving and physical threat in an accident. They could also escape during a rest stop. Be sure to pack for your pet by bringing water, their food, favorite toys, collar and leash, and clean-up supplies. Finally, be safe and patient. Have a Happy Thanksgiving!